Datacellular has been responsible for the integration and modification of thousands of sites for major wireless carriers throughout the United States. We employ the industry's leading switch experts, so you gain the best results for your requirements in proper design and automated data preparation for the integration or reconfiguration of cell sites. The team at Datacellular specializes in Data translations and integration of Ericsson, Nokia, and Alcatel-Lucent product lines. Over the past 30 years, Datacellular engineers have acquired tremendous experience in these areas. Datacellular has the expertise and experience needed to support commercial mobile wireless network technologies and ensure an optimal network. 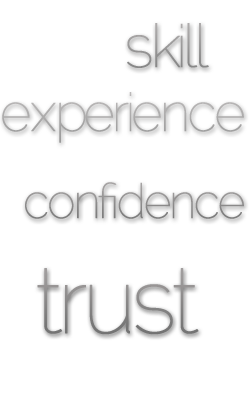 Our present plan is to build an expanding base of customers on top of confidence and trust. We do this by delivering automated, error-free data integration services and by being available 24 hours per day. Our management strives to identify and satisfy all customer requirements as well as regulatory and statutory requirements. We are striving to become the most competitive, competent and efficient Data Translations and Integrations services for Ericsson, Nokia, and Alcatel-Lucent products. Serious quality management: it's the center of our business. Datacellular has an established quality policy which serves our organization's purpose by emphasizing the need to meet requirements set by our customers and facilitates quality development. Our policy goes hand in hand with our commitment to continuous improvement. We carry our quality planning by formulating our objectives, developing and implementing quality control before beginning any project, and monitoring quality through the life of all projects. From east coast to the west and everywhere in between, Datacellular has served clients in several states and with several carriers. These include AT&T, Bechtel, Black & Veatch, Glotel, Mycom, Datalogix, Redline Telecom, Suncom Triton PCS, Dobson Cellular, and Cingular.